Tri-Village’s Austin Bruner goes in for a score against Twin Valley South on Friday night. The Panthers won the game, 73-35. Tri-Village’s Darrell Lee jumps up for a score against Twin Valley South on Friday night. The Panthers won the game, 73-35. Tri-Village’s Derek Eyer goes in for a layup against Twin Valley South on Friday night. The Panthers won the game, 73-35. 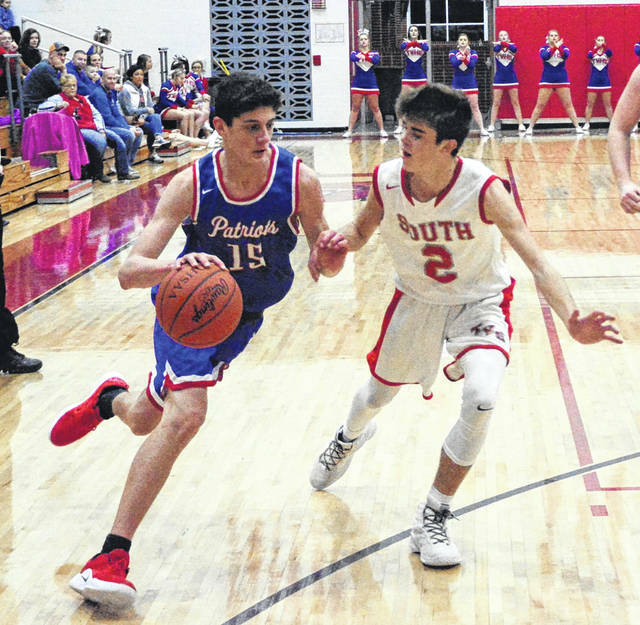 Tri-Village’s Gage Hileman gets away from a Twin Valley South defender in their Cross County Conference battle on Friday night. The Panthers won the game, 73-35. 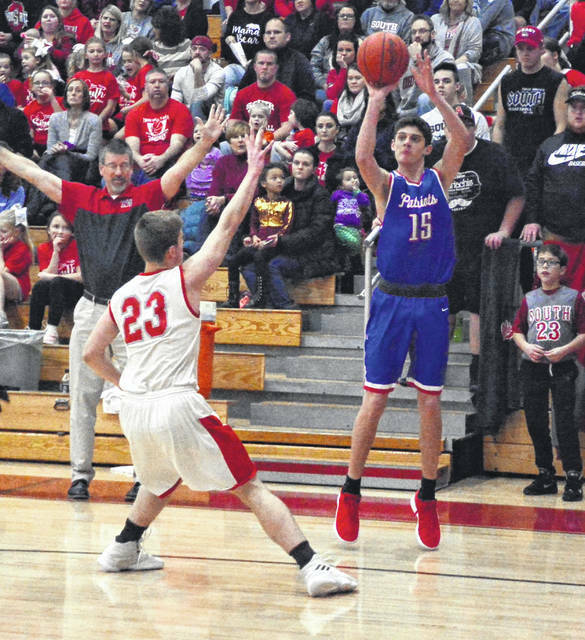 Tri-Village’s Layne Sarver shoots a 3-pointer from the corner against Twin Valley South on Friday night. The Panthers won the game, 73-35. 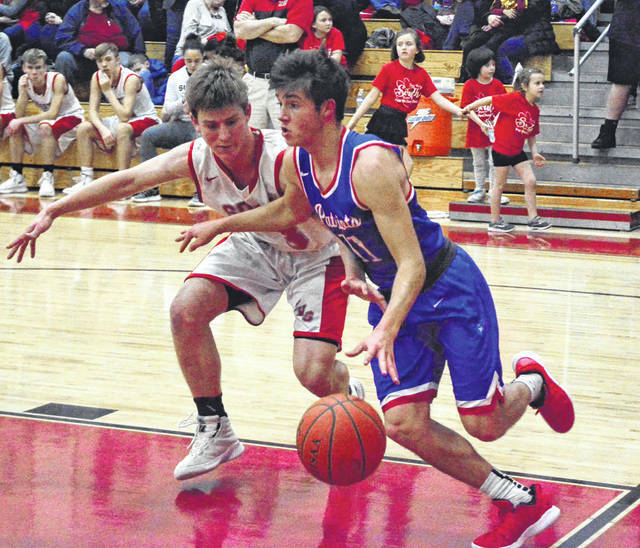 Tri-Village’s Layne Sarver drives around a Twin Valley South defender down along the baseline in their Cross County Conference battle on Friday night. The Panthers won the game, 73-35. 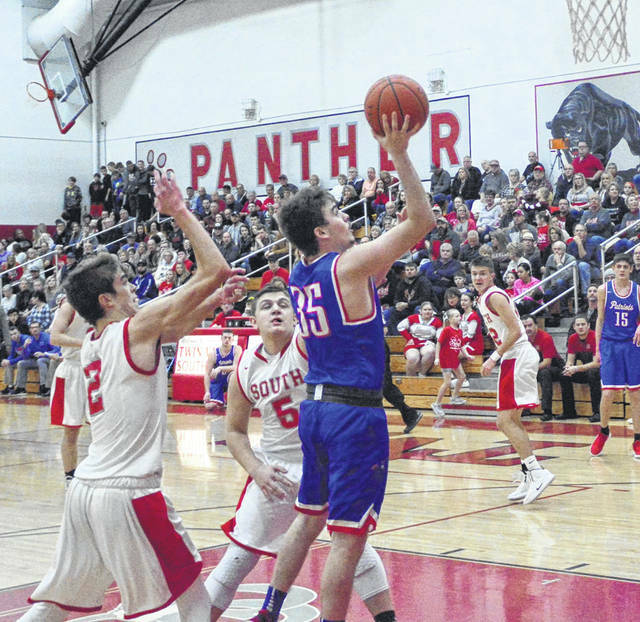 Tri-Village’s Mason Lay puts up a bank shot against Twin Valley South on Friday night. The Panthers won the game, 73-35. 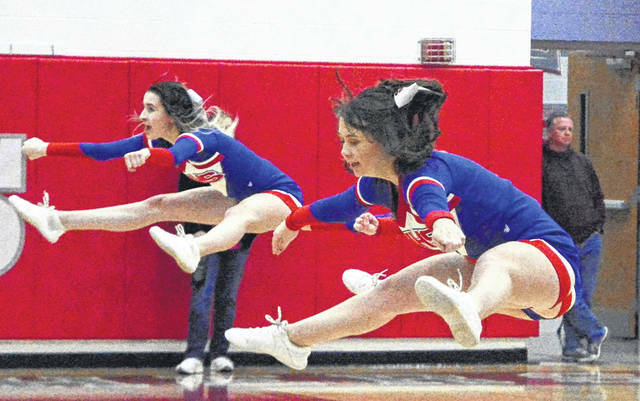 The Tri-Village varsity cheerleaders kept the visiting Patriots fans pumped up during the game. Tri-Village’s Derek Eyer tries to get away from a Twin Valley South defender in their Cross County Conference battle on Friday night. The Panthers won the game, 73-35. 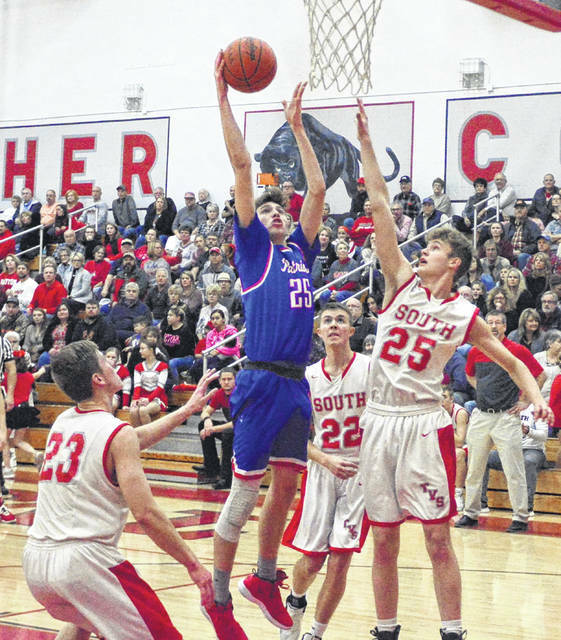 WEST ALEXANDRIA – The Twin Valley South Panthers are ensconced at the top the Cross County Conference and there is a reason for that – multiple weapons on offense and a stout defense. 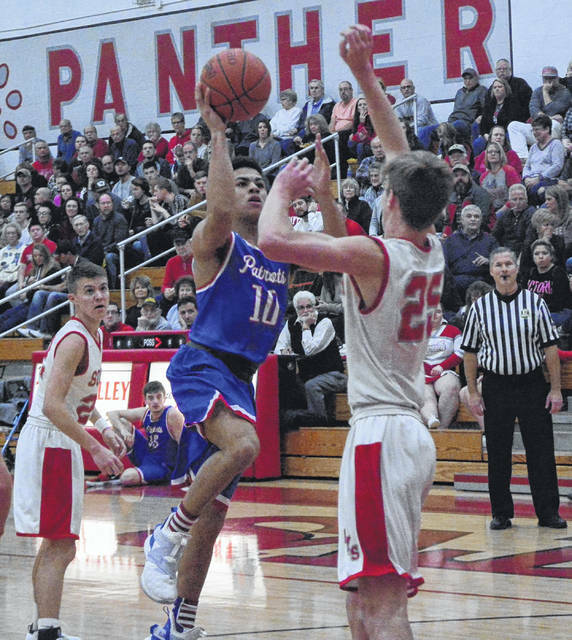 The visiting Tri-Village Patriots received a full draft of what the Panthers were capable of on Friday night. Despite making some defensive changes, the Patriots could not stop the Panthers from scoring. On offense, they had a rough time maintaining consistent scoring themselves and would fall, 73-35. The Panthers were raining treys in the first quarter. They would score 24 points and this would be their best quarter of the night. The Patriots adjusted and spread out to put pressure on the wings in the second quarter. 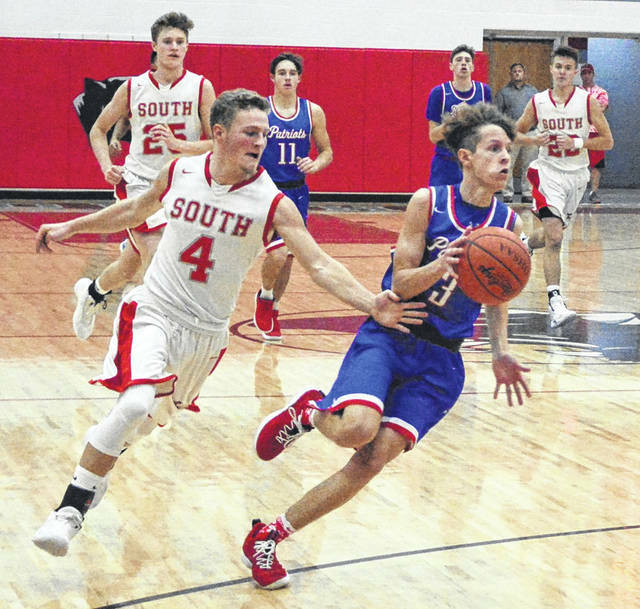 South simply began to work the ball inside to the red zone and score close to the basket. At one point the Patriots closed to within 7 points, but South closed out the half in a flurry and built a 39-23 lead. Things would not get any easier for the Patriots in the second half. South simply found another gear when they came out of the locker room and peeled off a 19-0 run to start the third quarter. That dashed any glimmer of a comeback. The Patriots got rattled and handled the ball sloppily and gave up a lot of turnovers during this stretch which just fed into the run. They were also being limited to just one shot through much of the game, as they were not getting any offensive rebounds so they were also not getting any second-chance shots. 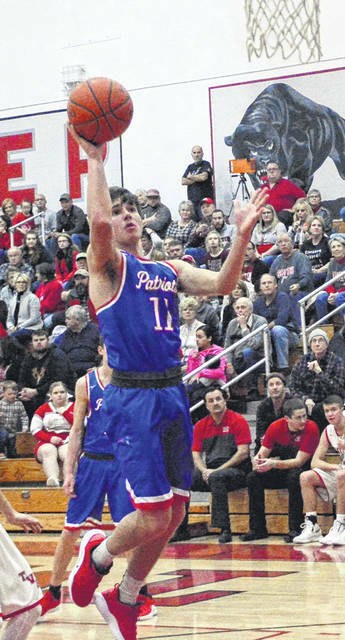 Next up for the Patriots is Tri-County North, who is also in the middle of the conference.